Considering how many books I read, having a book come along and grab me doesn’t happen as often as you’d imagine. This book has been getting a lot of buzz, even leading up to the release. Every bit of the positive buzz, well deserved. 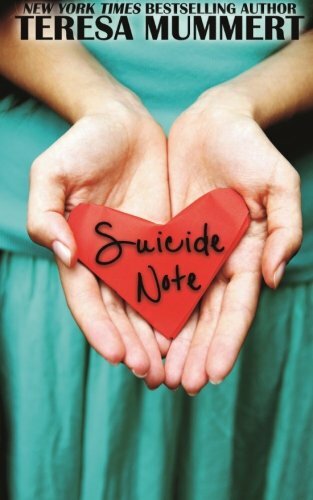 What would you do, if you accidentally got someone’s suicide note, before they’d done anything about it? Would you hope things worked out ok, would you call someone and try and send help their way, or would you go out of our own way to try and help that person yourself? Shane is a Marine, on leave, and planning to just pass through Maine on his way home, a home that doesn’t really exist for him anymore, and it isn’t like anyone is there waiting for him, right… He decides instead to stay in Maine and visit with his cousin, who he was raised with after his mother’s death. That spur of the moment decision changes the course of his life forever. Jenn’s life isn’t what she expected, her sister, her ex and her family have drained what little joy and happiness she has in life, she has a job, but no one there really knows her, she feels alone, and now she’s off for two weeks vacation, for her birthday and what should have been her honeymoon. Jenn works for Jake, the cousin Shane has decided to visit. Asked to send a letter for her boss time gets away from her and the letter never gets sent, luckily Shane’s right here, and she hands over the letter, which is where things take a sharp left… see in that letter is a printout of Jenn’s, a goodbye letter, a suicide note. Shane decides he needs to take this in to his own hands, he doesn’t want to embarrass her, but he sees a chance to make a difference in her life, so he decides while he’s on his leave he’s going to spend it with her, showing her the value in life. One night could change their lives forever.